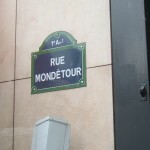 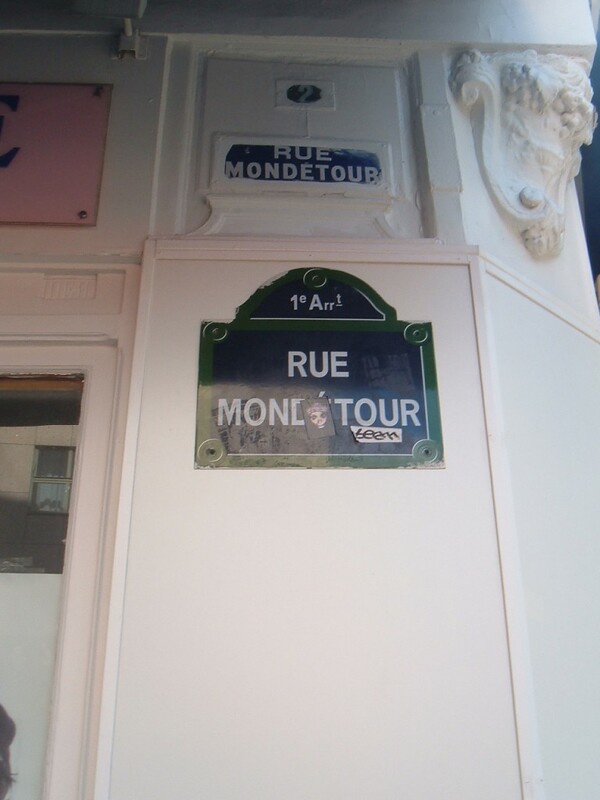 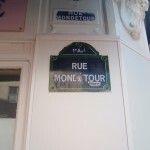 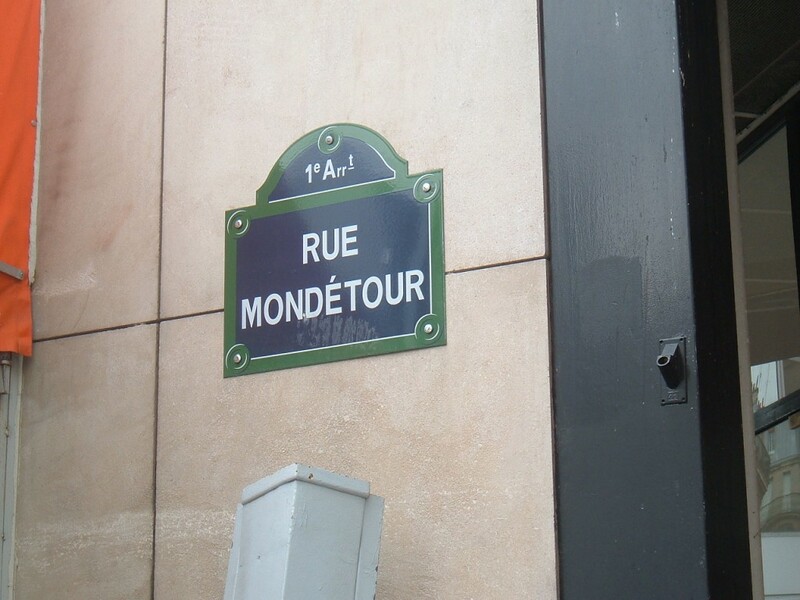 Street sign for the rue Mondétour. 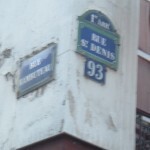 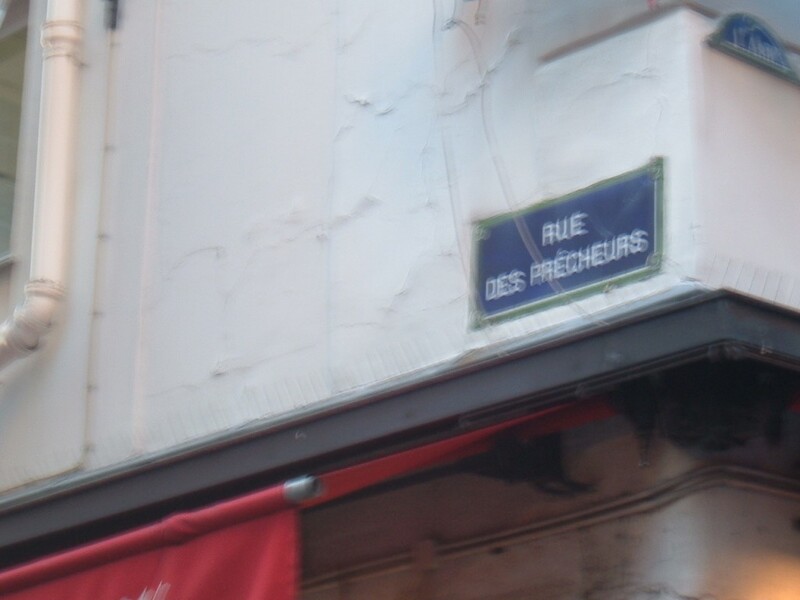 Street sign for the rue des Prêcheurs, one block south of the barricade. 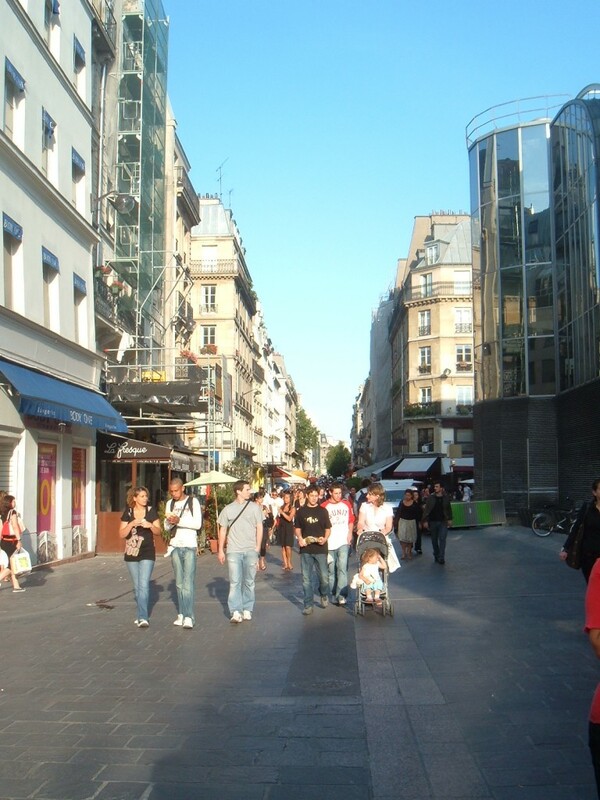 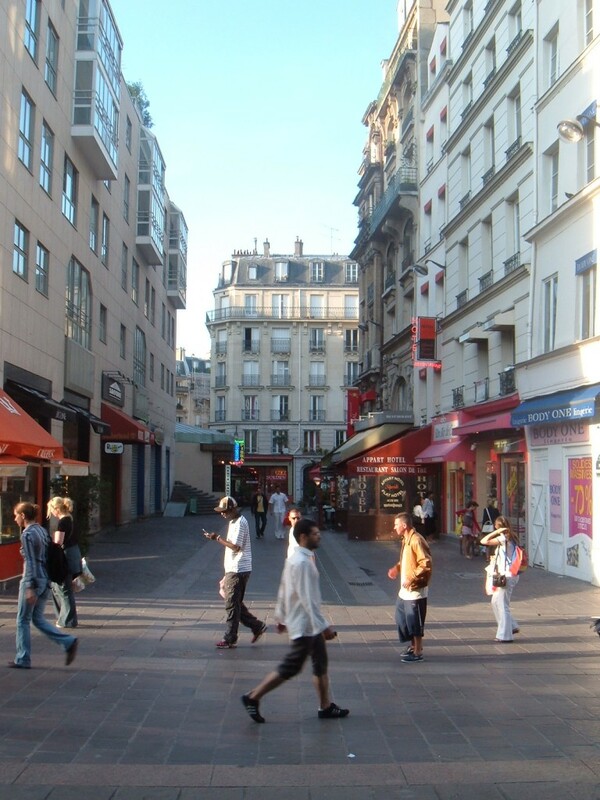 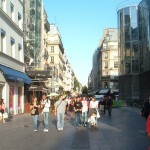 View down the rue Rambuteau, towards Les Halles. 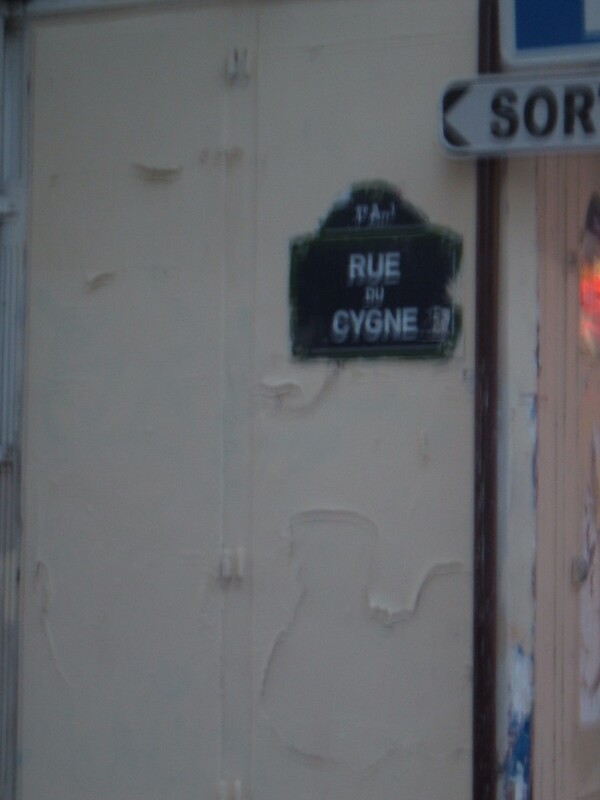 The scaffolding is about where the barricade would have been. 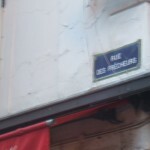 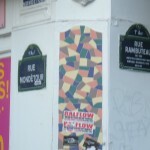 Street signs for the intersection of the rue Mondétour and the rue Rambuteau (which absorbed the rue de la Chanverrerie). 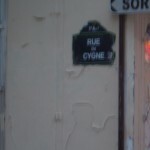 Street sign for the rue du Cygne, one more block north. 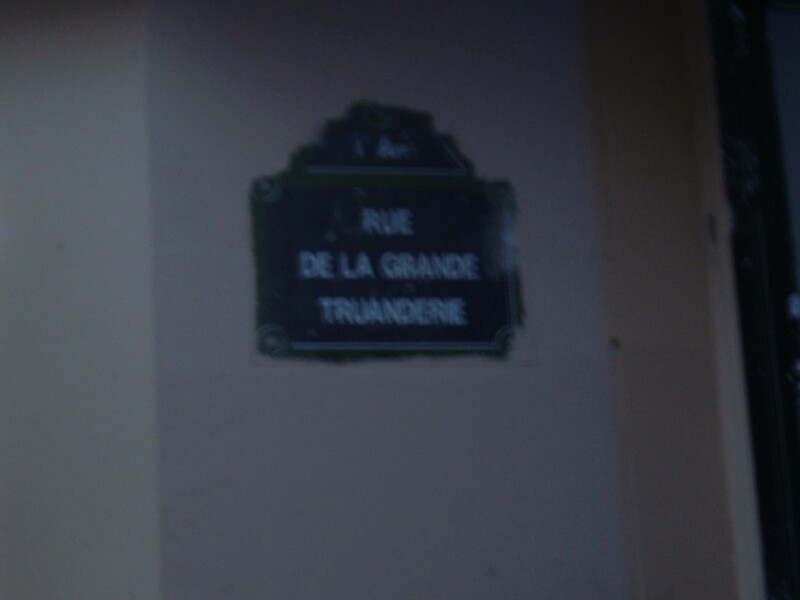 Street sign for the rue de la Grande Truanderie, one block north of the barricade. 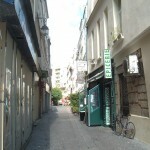 Our little alley, all grown up! 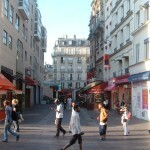 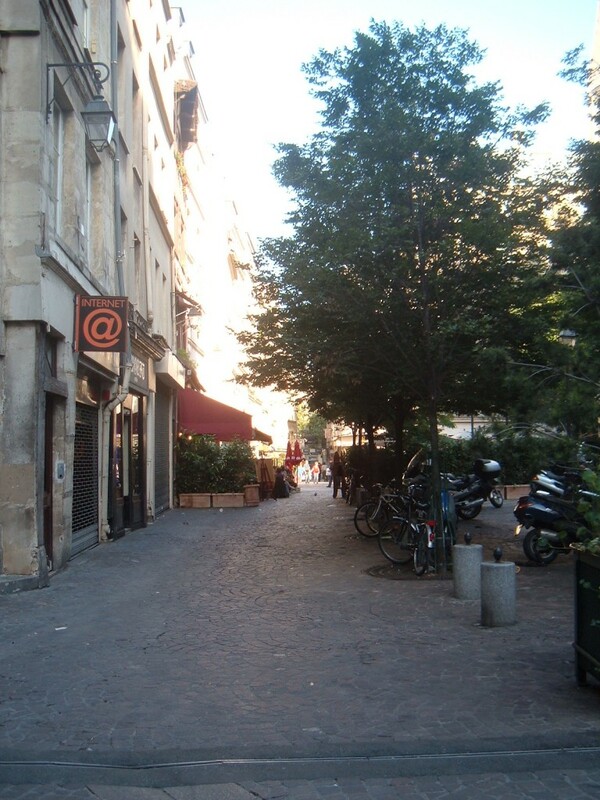 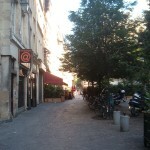 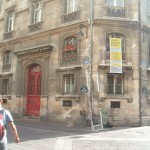 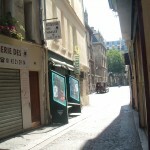 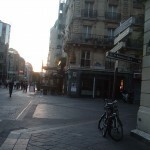 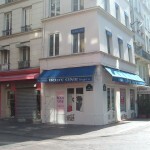 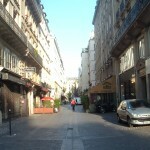 View of the rue Mondétour from the rue Rambuteau. 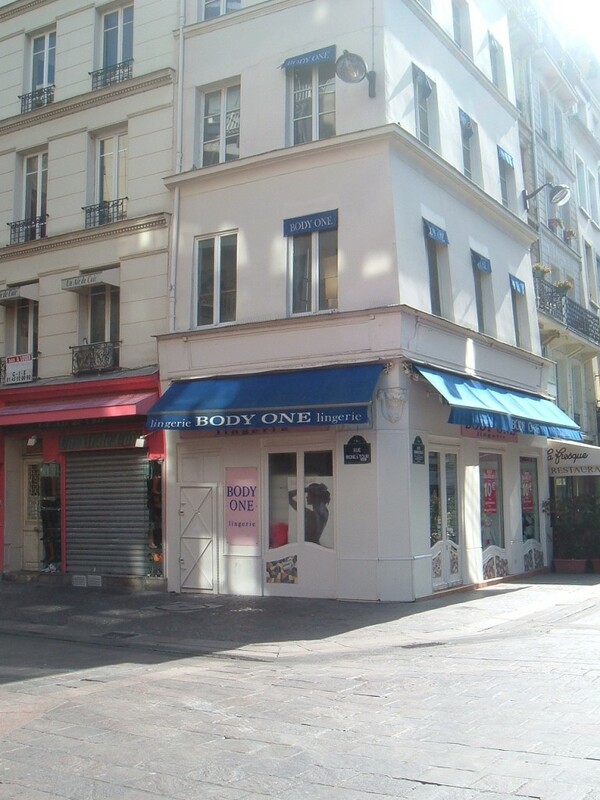 Note Body One Lingerie on the right, which is where Corinthe would have been. 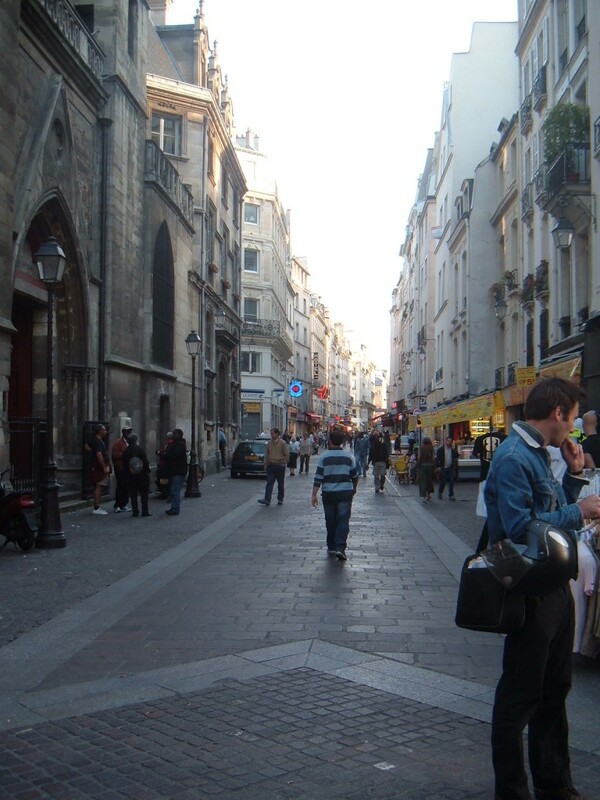 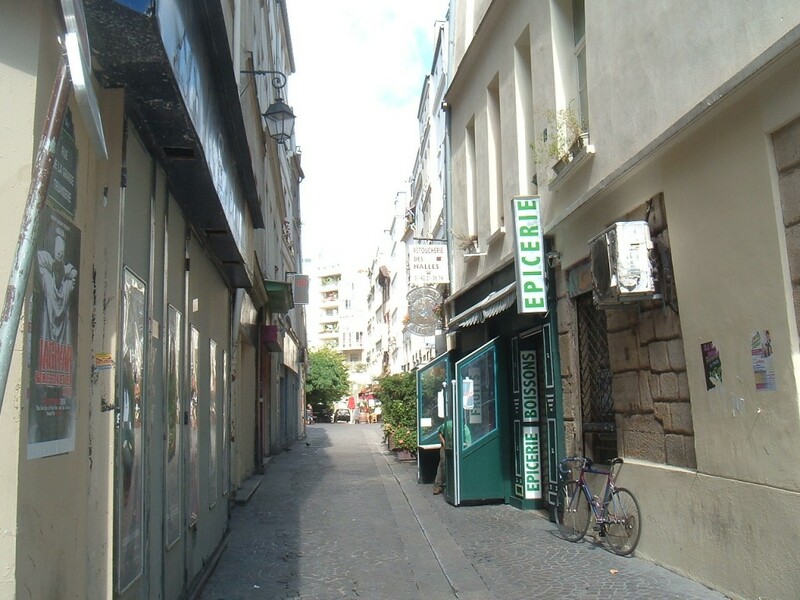 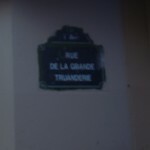 Standing in the rue Mondétour and looking at the rue de la Grande Truanderie. 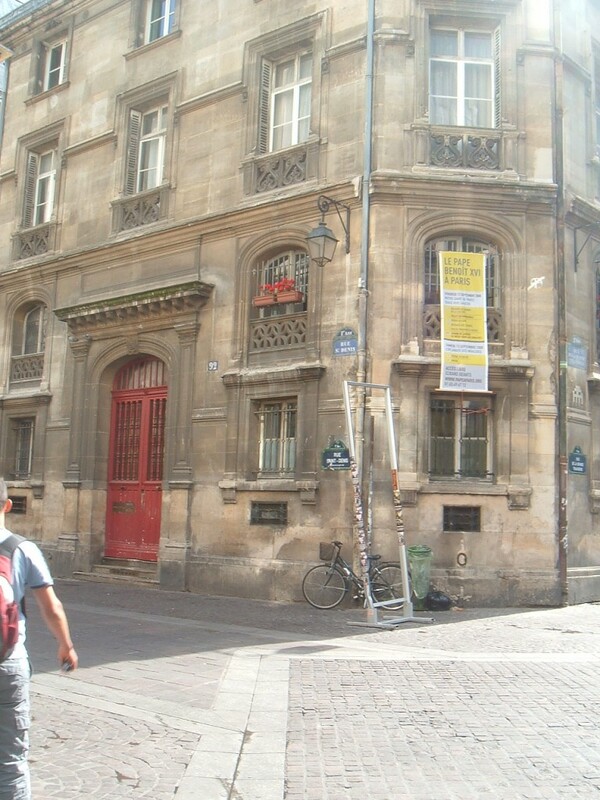 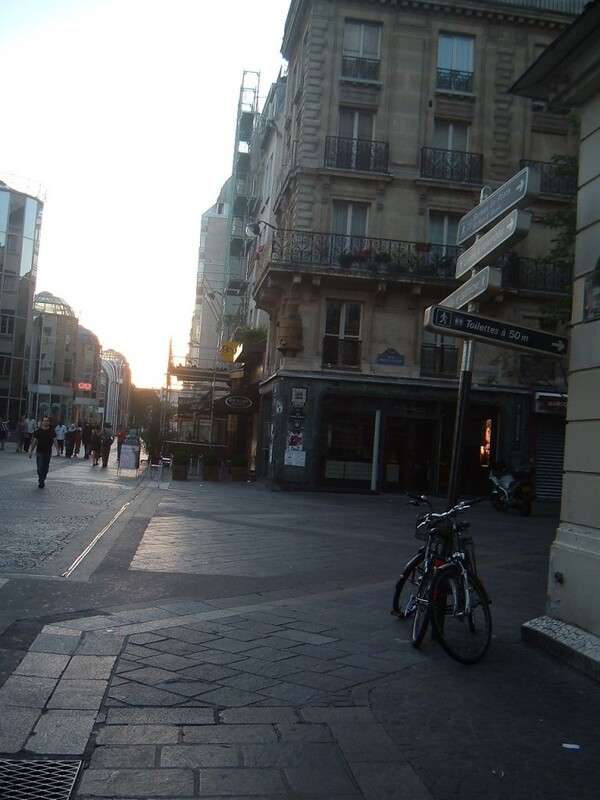 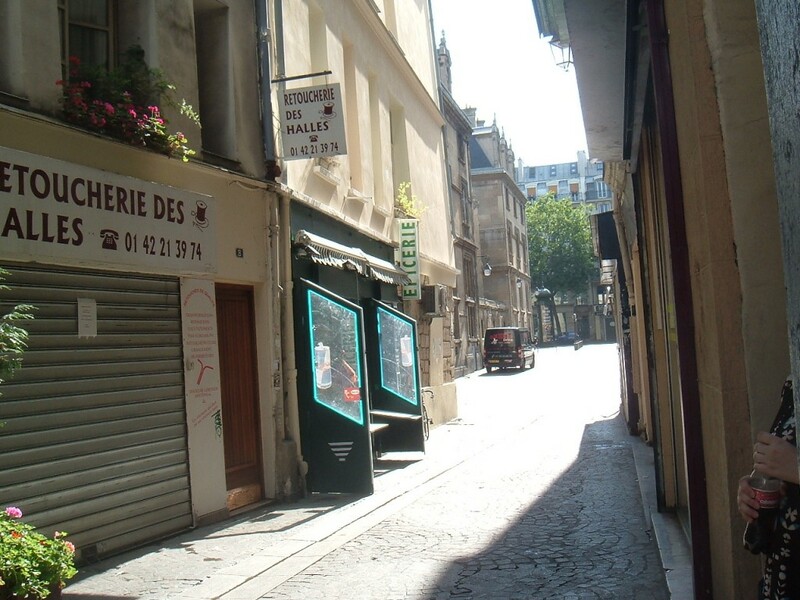 Somewhere a little to the right of this spot is where Eponine died. 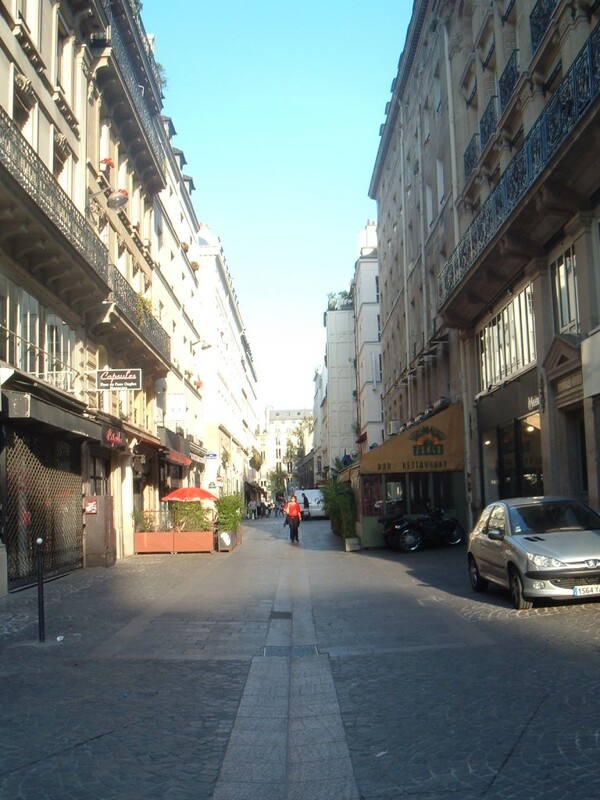 Looking down the rue Saint-Denis from way up at its intersection with the rue du Cygne. 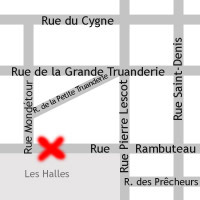 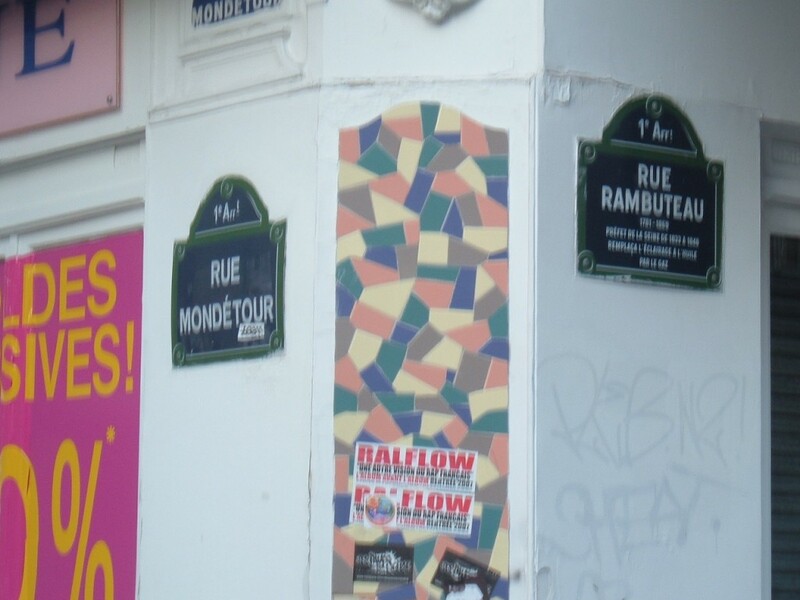 Down there where the street starts to curve is the rue Rambuteau. 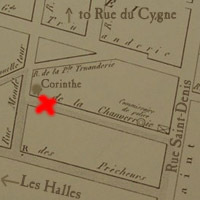 Another view of the church at the intersection of the rue Saint-Denis and the rue du Cygne. 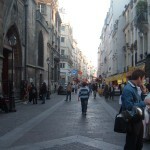 Intersection of the rue Saint-Denis and the rue Rambuteau. 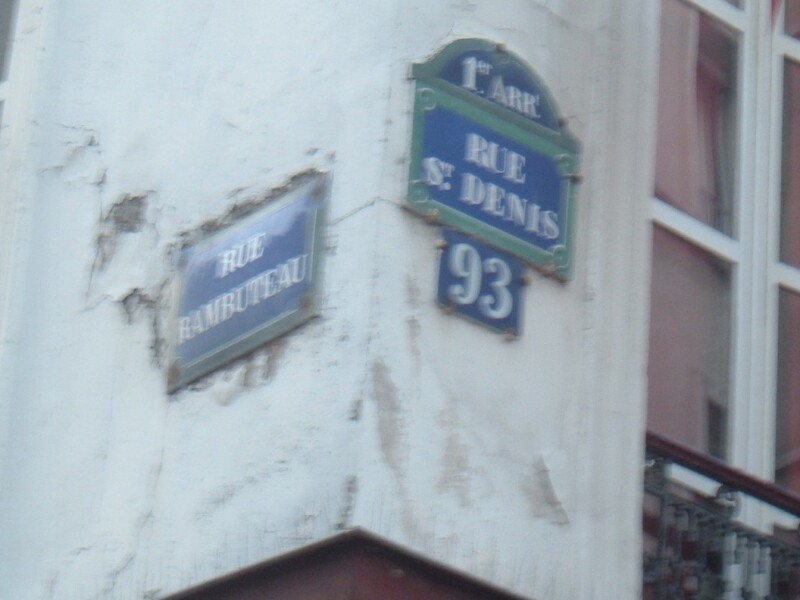 …and the double street sign, new and old, on the wall.